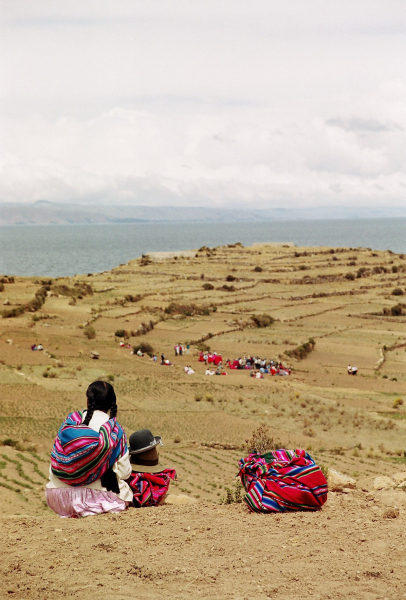 Bolivia is the Tibet of Latin America, the highest and most isolated country of the Latin American Republics. 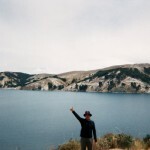 My visit to this jewel of the Andes was very short, just twelve days and only on the very western part of it, around Lake Titicaca. 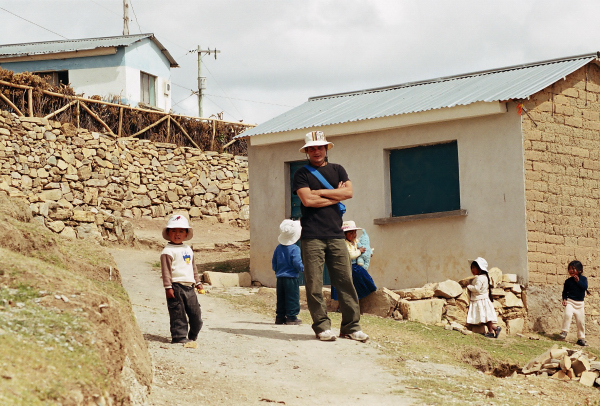 Bolivia is probably one of the poorest countries in South America and because of the elevation life is really hard on people there. The corrupted governments and the cocaine war lords have turned this peaceful country into a dangerous zone with many criminal activities. This is what I had heard from fellow travellers but what I saw was quite the opposite. The area I visited was really relaxing and the inhabitants’ main activity was the agriculture. 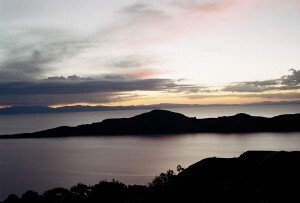 This has probably got to do with the fact that the area of Lake Titicaca was and still is a sacred place where «Pacha Mama» (Mother Earth) was born. 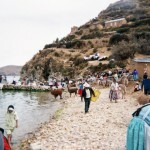 Copacabana, my first stop, is a bright town on the lakeshore, around a splendid bay between two hills. The town is well known for its fiestas which bring this ordinary, sleepy place to life. 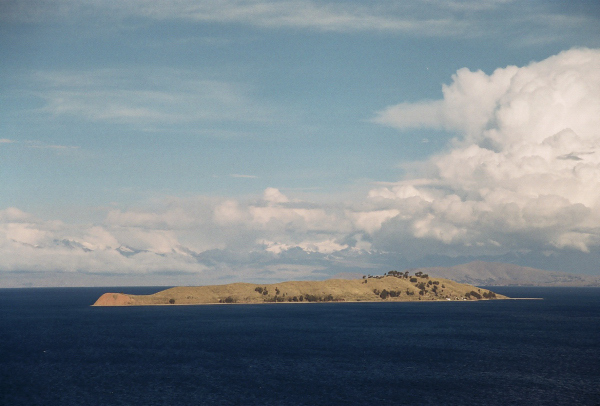 From there I took the boat to the two sacred islands of the lake: Isla Del Sol and Isla De La Luna. Back then I was travelling with two of my best friends, Dimitris and Nikos. 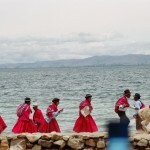 We stayed in Isla Del Sol in order to participate in the ceremony for the birth of Pacha Mama. The boat owner that took us to the island dropped us off at the small port and we had to climb about an hour uphill to get to the village where we would stay. It might sound crazy to you but with seven euros we each had a room with three beds, a bathroom outside and one meal a day from our friendly landlord whose name I don’t remember. That was extremely cheap as everything else in Bolivia. The next day there was a fiesta feel in the atmosphere. 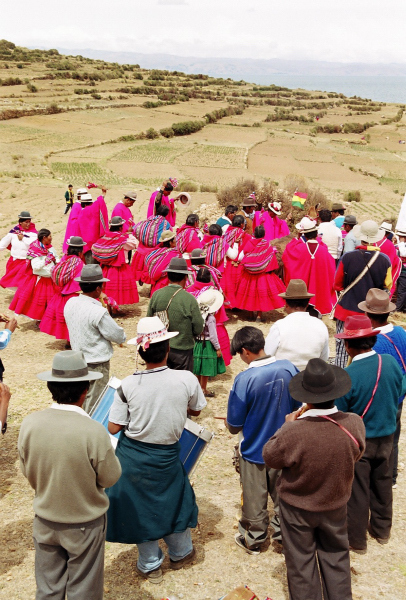 It was “El Dia de la Pacha Mama”, a person mostly respected and widely celebrated all over the Andes. 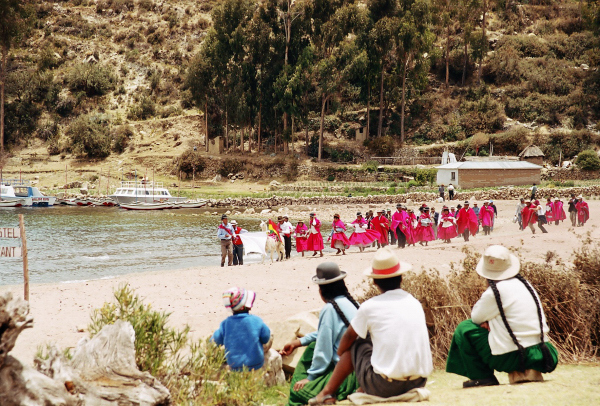 The locals, all dressed with their colourful traditional clothes, were drinking chichi, a kind of local wine really strong and not very tasteful as I found out. At some point a parade of people passed by. 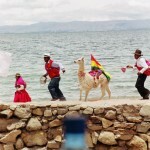 It was going all around the island with a lama (something between a sheep and a donkey). 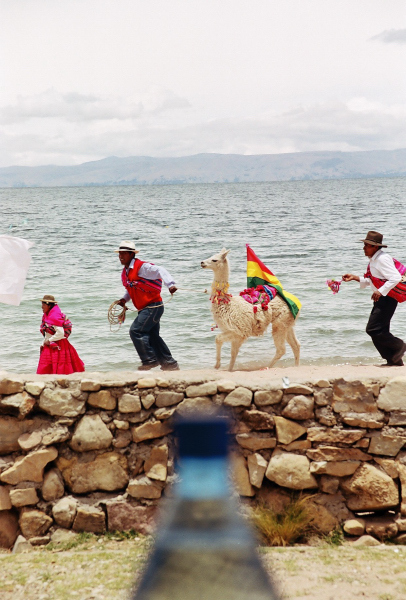 The lamas are sacred animals that are widely used in the Andes for carrying things in the mountains as well as for their fur. That particular one was well fed and coloured because at sunset it was going to be sacrificed in the name of Mago Kapa, the son of Mother Earth. 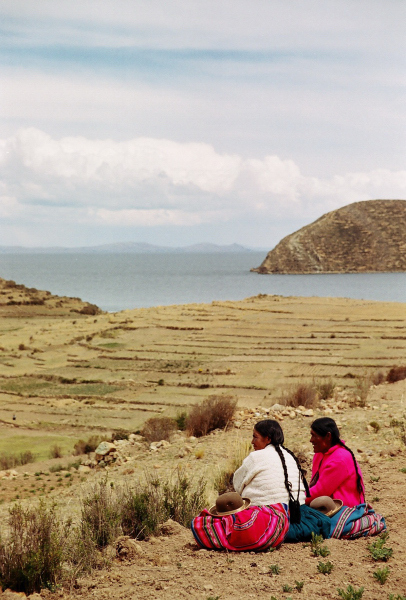 These two gods are mainly worshipped by almost all the Andean Indians. I couldn’t watch the killing of the poor lama. So I stepped aside and talked with some locals about the whole custom. 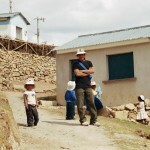 All of them were descendants of the Inca and they got me into the beliefs and the structure of the Inca society. After making the sacrifice, my friends got back with the cooked meat that was passed around to everyone who participated or just attended the ceremony. 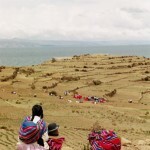 It was a unique experience for us westerners who know very little about the great Inca civilization that our ancestors violently destroyed. The next days we explored the island. Since there are no cars, the only way to get around is on foot. 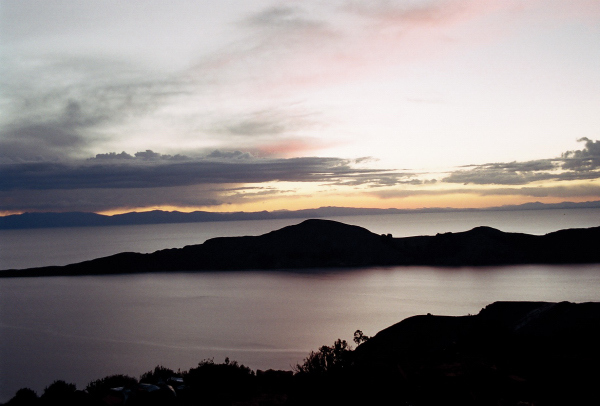 With ancient ruins, tiny traditional villages and beautiful walking routes, Isla Del Sol is certainly worth a visit. The walking paths made the exploration really easy. We walked around the island and that took us one whole day. As most of the visitors say, no matter how much time you spend on the island, you always wish you had some more so you can really come to grips with this magical place. 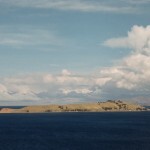 We also paid a visit to the small sister island of Isla De La Luna. 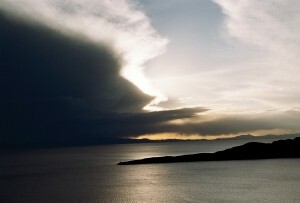 According to the legend, from here Pacha Mama commanded the moon to rise into the dark sky. 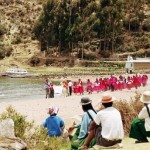 This small piece of land has an ancient Inca nunnery and an amphitheatre that occupies the north-eastern shore. 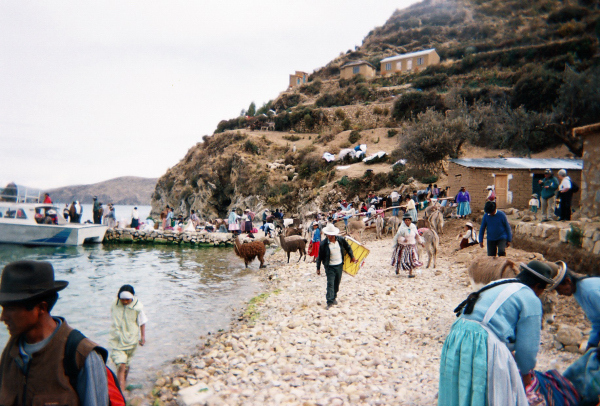 Camping is the only option for spending the night here but since we hadn’t come prepared, we were forced to go back to Isla Del Sol. It took us a week to explore both of these wonderful islands but it was time to head back to the lakeshore and to Copacabana. From there we visited the nearby small villages on the lake. I hooked up with two Argentineans, Pedro and another guy whose name I don’t remember. They had a nice bar-restaurant in Copacabana which became our hangout during our last days in Bolivia. 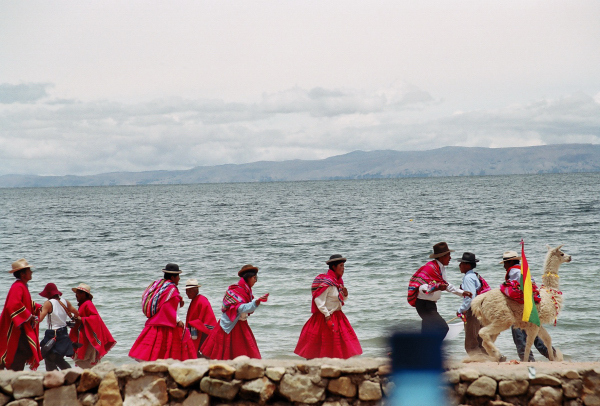 Bolivia has a turbulent and explosive history but nowadays its revolutionary image is overstated. Although it’s still facing problems, it remains one of the most inviting countries. 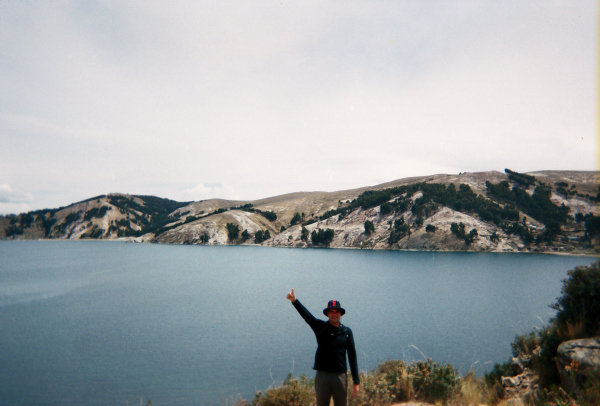 For travellers a pass through here is an unforgettable experience that matches the expectations of those who dream of South America.